The second release in the Collectors Series (OW109CD) from Voiceprint. 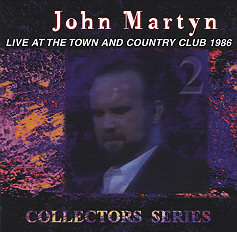 A good set of 12 songs from John and his band, 9 songs of which were previously released as Foundations. This release is true to the actual setlist and includes 3 songs not previously on the album release; Solid Air, Dealer and Sweet Little Mystery.